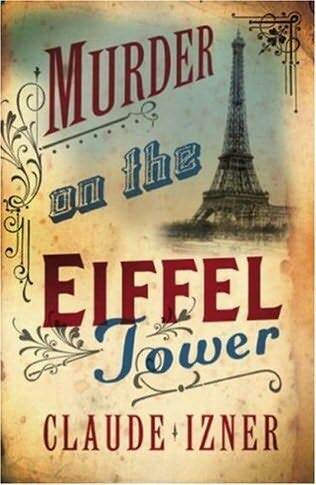 Those interested in assigning novels on nineteenth-century Paris might be intrigued by a recent spate of mystery novels set during the Paris World’s Fair of 1889 and featuring the Eiffel Tower as the symbol for a troubled modernity. The novels hail from three continents and, each in its own quirky way, reminds us of the continued resonance of the Belle Epoque in the popular imaginary, a phenomenon that only mid-Victorian London appears to equal for aficionados of the nineteenth century. The authors of these mysteries have shrewdly chosen a setting that is likely to attract many (well beyond the circle of French historians who read polars). It’s a historical moment familiar to almost everyone—in its imagery, at least: fin-de-siècle Paris with its glaring contrasts of luxury and poverty, the bohemian cabarets of Montmartre, and the Exposition universelle of 1889 with its unavoidable marker, the Eiffel Tower. Two of the authors make an effort to provide some historical notes (an appendix in Izner’s book, footnotes in McCleary’s), but for the most part the novelists’ Paris of 1889 is merely a collection of stage sets from which they cherry-pick a few of the best known. None of the historical repères—the tower, the fair, historical figures— matter much in comparison with the characters and stories the novelists have invented: tales of mysterious murders, nefarious conspiracies, and terrorist plots. The Exposition and the tower are central most of all to the narrative told by Liliane Korb and Laurence Lefèvre, the two sisters who write under the pseudonym Claude Izner. One of the early visitors, a woman up on the first platform, suddenly falls over dead…from a bee sting? or a human poisoner? Similar deaths occur around the city–most of them following a visit to the tower. An antiquarian bookseller named Victor Legris, who was also on the platform that day, takes on the detective work of finding out what killed the victims, who did it, and why. In contrast, the American novelist Carol McCleary begins her story in the U.S. with the feminist trailblazer Nellie Bly as an investigative reporter who happens upon the murder of a young woman. Bly tracks the killer from New York to London and then on to Paris. This novel is the one for readers with an appetite for a Hollywood quotient of violent action—killings by a mutilating slasher, by anthrax and other “deadly microbes,” and by exploding bombs. In her pursuit of “the man in black,” Nellie, never daunted, has to contend with the French government that is bent on covering up the crimes—to avoid frightening visitors away from the city and the Exposition. Along with all the action, there’s suspense at times–with a cast dominated by historical figures who come off as cartoonish, veering into camp. The third novel, written by an Argentine, begins in Buenos Aires with the story of a young assistant to a master detective, who has to deal with the murder of his favorite protegé. 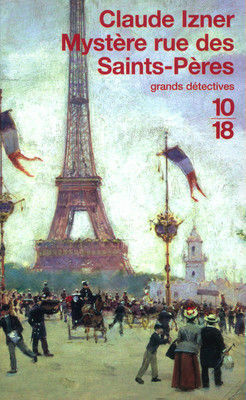 Then the story shifts to Paris, where the Argentine assistant, representing his mentor, meets with eleven of the world’s premier detectives to prepare an exhibit at the Exposition universelle. After a lively meeting of the great detectives one night, the only Frenchman of the twelve is murdered. Leading suspects include some anti-rationalist opponents of the Exposition and tower (“crypto-Catholic” occultists) … and a fellow detective. With this mystery tale come some unusual bonuses: witty portrayals (or caricatures) of national traits embodied in the twelve detectives and their different investigative approaches (more on that below). For historians, particularly those who are not enthusiasts of the “whodunit” genre, a key question is whether the novels have any value to students of history. Could they be useful as a part of course readings? Ever since the vogue of Walter Scott and other Romantic novelists, readers expect historical fiction to bring alive a bygone time and place, particularly the affective atmosphere and period color. By those tests, the three recent novels largely succeed, I think, on two scores. First, they convey a sense of the extraordinary mix of peoples gathering from all parts of the globe for the ’89 fair. The plots hinge on that historical conjuncture. By taking us back to the days and weeks just before and after the fair’s opening, the novels highlight a time of great anticipation and curiosity about the exposition—about the prospect of seeing new wonders and encountering peoples from lands beyond one’s ken. But that heightened presence of the unknown and exotic also made for an atmosphere of suspicion and fear of the Other–currents of Paris history all too familiar to chroniclers of the city past and present. In every murder case told by the three novelists, the leading suspects are foreigners or immigrants, most of them Russians and anarchists. Secondly, the novels all bring out the importance of the popular press in its rough-and-tumble period of start-ups and rapid growth. Izner’s plot in particular brings out the fierce competition of journalists to capture attention and sell papers with sensational stories. 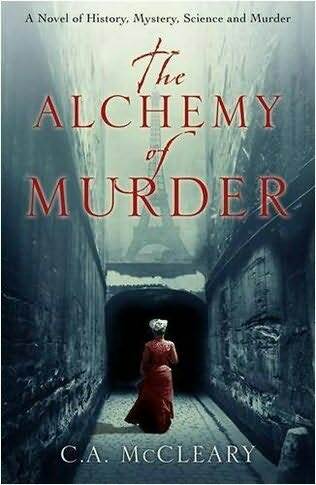 With an eye to Jack the Ripper’s murders in East London, Parisian editors and reporters worked overtime to feed the appetite of readers with shocking faits divers … and on occasion even went over the line by manufacturing events. On the negative side of the ledger, historians will be able to find much to fault in the novels. Without taking the space to point out everything I’d judge erroneous (e.g., typos in McCleary’s book and translation clunkers in Izner’s), I’ll single out two large matters that would likely give many historians reason to be dissatisfied. One is the novelists’ narrow focus on celebrities and a few fictional characters of bourgeois or elite status. Ordinary people, the majority and their working lives, are unrepresented. McCleary takes the greatest liberties: all her leading characters are famous names. In solving the mystery that brought Nellie Bly to Paris, she gets to know and work with Jules Verne (and they have a love affair! ), Oscar Wilde, and Louis Pasteur, among others. Subjecting the novels to historical critique—which is doubtless unfair to the authors–is surely the way history instructors would take for classroom purposes. The pedagogical hope would obviously be that a “thriller” would spark interest and follow-up reading. Students could go on to works of history that tell more about the Exposition, the popular press, anarchists, or the other aspects of the period. The interested student could also go to primary sources such as Vidocq’s memoirs, anarchist writings, or novels from the fin de siècle. Of the three novels, Pablo de Santis’s stands apart in several ways. It’s not just a narrative of crimes and detection; it’s also a story of a young man’s apprenticeship and his coming into his own as a detective (in literary terms: a Bildungsroman in contrast to the feuilleton or picaresque structure of the other novels). Along the way he shares with us the masters’ discussions of the best ways to find the truth –reflections on questions that confront investigators of all kinds. How to solve the mystery? –through concentration on small pieces methodically studied (as though working a jigsaw-puzzle)?… or through flashes of holistic comprehension? … by pursuing the most obvious evidence or by digging into the seemingly unimportant and irrelevant? All this can lead to reflecting anew on the premises and methods of historical research—and the old debate about history as art or as science. It can also prompt reflection on the problem of how to know the Paris of 1889–the ville lumière that put so much of itself on display for the world to see, yet also kept much in the dark. While entertaining us with a good yarn, The Paris Enigma stimulates questioning of common sense and standard practice in many domains (which, for historians, might include conventionally ordered monographs and articles). It does so most fundamentally by advancing the idea, midstream in the narrative (p. 109), that “reality” is too complex and elusive to be captured or explained in coherent, rational forms. Carol McCleary, The Alchemy of Murder. New York: Tom Doherty Associates, 2010. Hardcover, 368 pp. 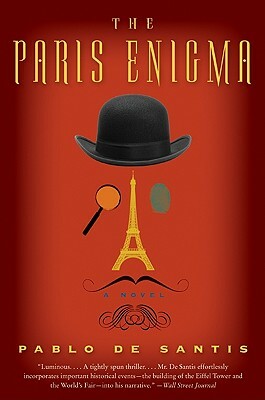 Pablo de Santis, The Paris Enigma: a Novel. Trans. Mara Lethem. New York: Harper Perennial, 2009. Paper. 244 pp.